As pub date for LAST CHANCE LLAMA RANCH approaches, my hopes also go with it. It’s only TWO WEEKS away! After all that toil, joyous and awful by turns, it’s finally going to be on shelves. Will y’all like it? I honestly think it’s a winner. And speaking of winners, for the next 12 days, you can still win a copy of LAST CHANCE LLAMA RANCH on Goodreads! Win a Copy of LAST CHANCE LLAMA RANCH on Goodreads! Broke? Stingy? Just like to roll the dice? I can help. Enter to win a copy of LAST CHANCE LLAMA RANCH on Goodreads! Click here, my dears, or on the book cover below. Cheers! 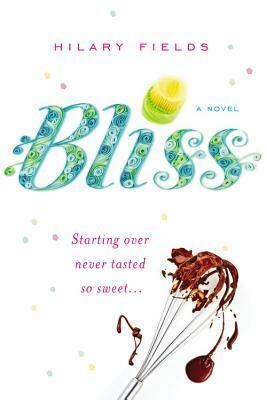 Goodreads Giveaway – Win a Signed Copy of BLISS! Hey friends! From now until August 10th, enter to win one of five signed copies of BLISS on Goodreads. Just follow the link below. Win a Free Copy of BLISS on Goodreads! Hey fans! Just a quick post to let you know Redhook Books is running a Goodreads Giveaway for BLISS. Giveaway ends October 1st, so enter here to win one of 50 free copies!